Emma Lee, a Mormon handcart pioneer, was the 17th plural wife of John D. Lee. Minnie Guenther, was a missionary who played a crucial role in helping Apaches survive horrific epidemics. Lozen was a powerful Apache shaman, healer and warrior, who rode with her brother, Victorio and Gerniomo. 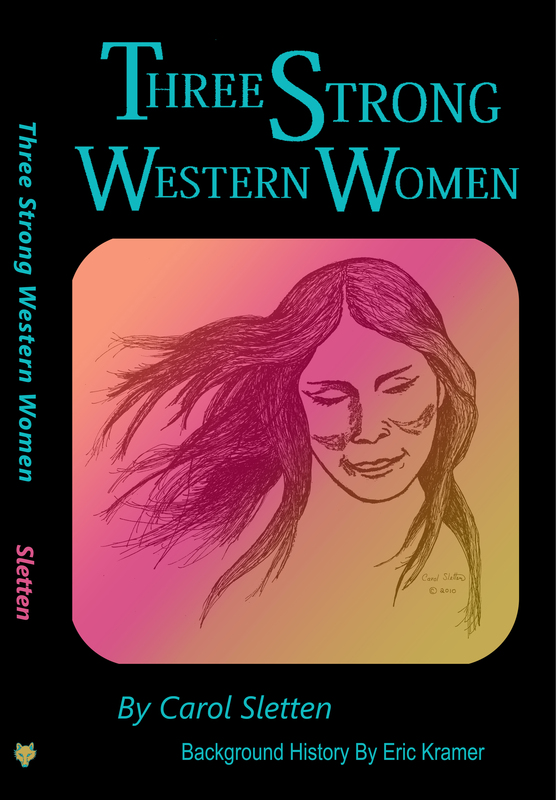 Gripping personal narratives pull readers into the troubled times and tribulations that each of these women faced during a turning point in the history of the American West. The second part is historical background. It explains the complicated backstories and why many of these things happened. Plus $2.50 shipping and handling. Arizona residents pay 8.6% sales tax. The play has received critical acclaim throughout Arizona. Available as plates, framed tiles (trivets) or unframed tiles. The book tells the story of America's 48th state through the lives of Apaches, Mountain Men, Hispanics, Soldiers, Mormons, Cowboys, Blacks, Outlaws and Others Who Struggled in Arizona's White Mountains, One of the Last Untamed Regions of the West. 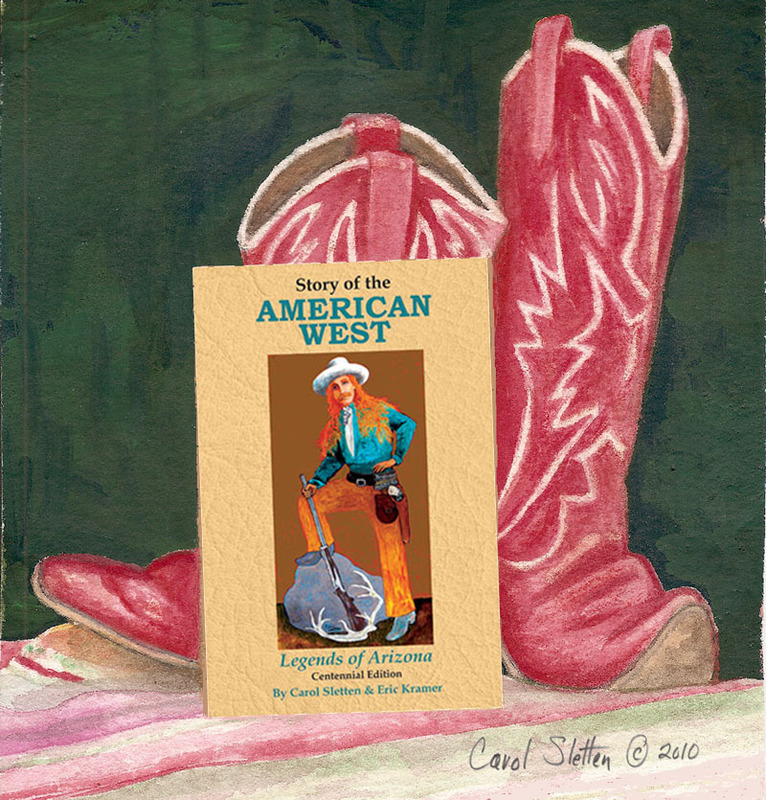 "The book weaves the essential elements of the mythic West into a highly readable story. This non-fiction version of Michener's Centennial is comparable to the novel in poignant detail and narative scope." Plus $3.49 shipping and handling. Arizona residents pay $2.32 sales tax. Carol lives in a cabin in Arizona's White Mountains. She is currently focusing on the history, landscape and people of the American West. Her popular play, books and artwork reflect her ongoing fascination with those subjects. 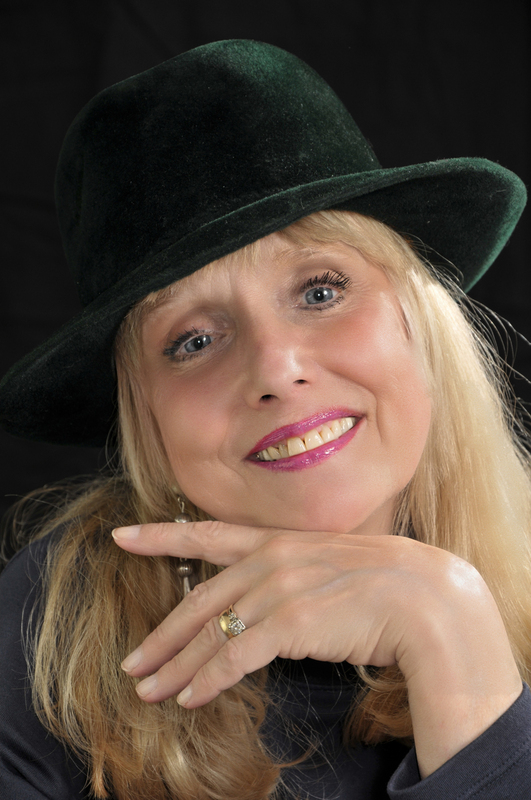 In the past, Carol worked for an ad agency and a unviersity information center, did a stint as a reporter, taught at a community college, was co-owner of an art gallery and collected oral history. When she was on the East Coast, Carol had a gig as an artist in residence, designed publications, and had a one-woman show at the Staten Island Botanic Garden.